A Ukrainian one man pagan black metal project? That’s Drudkh isn’t it? 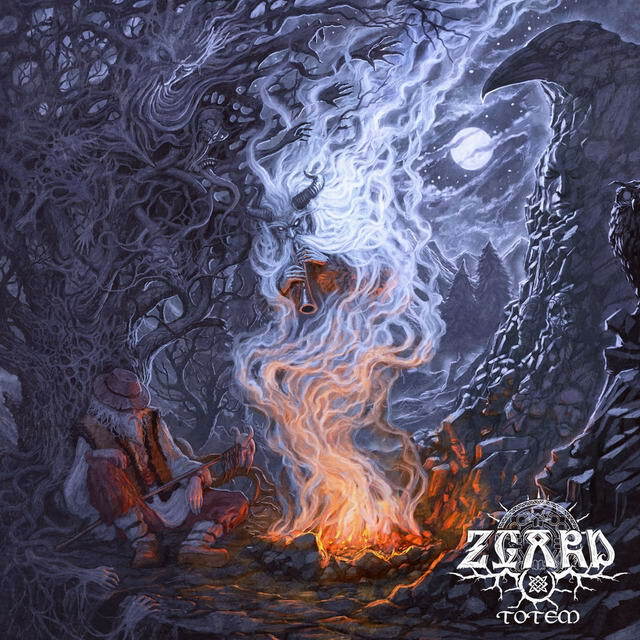 Well, no, apparently that model of music seems to be very popular in the frozen forests of eastern Europe, and here we have Zgard, whose fifth album, ‘Totem’ weaves a raging torrent of black metal with Slavic folklore and woodwind to create a tribute to the Veles, ancient Slavic god of sorcerors. Sounds esoteric, doesn’t it? But that is all nonsense if the music doesn’t match up. After a moody and thoroughly menacing intro raises images of forest rituals and ancient incantations, ‘Land of Legends’ thrusts you headlong into that icy world of centuries past, where thudding blastbeats and thrumming guitar meet flute and scathing vocals. ‘Descendants of the Thunder’ rumbles like its namesake, with a satisfying thickness to its riffing. There’s a pagan influence on here that is subtle, not overbearing. The music stops at points to let chanting through, ethereal sections that enhance the ancient worship on display here. The title track is the most Drudkh like, especially in its simply brilliant intro. Zgard take a fuller, more rounded sound that Drudkh do, and it benefits them immensely I think, allowing their sound to gain a bit of power and a sense of scale. The melancholy paganism of ‘Sorrow’ and the howling torrent of ‘Forgive Us Nature’ showcases the diversity of Zgard’s music, who can shift seamlessly from emotional acoustics to scathing blackened fury. ‘Totem’ is an excellent album that highlights just why pagan black metal is so good when done right. Zgard unleash every weapon in their arsenal to create music that is affecting on primal and personal levels. I love it, and so should you.